You have learned the 3 functions of Japanese verbs て-form + います (te-form + imasu) in lesson 22, which are progress action, habitual action and one's occupation. In this lesson you will get to learn another function which is state continuation. In definition this is a certain continuing state which resulted from a certain action in the past. 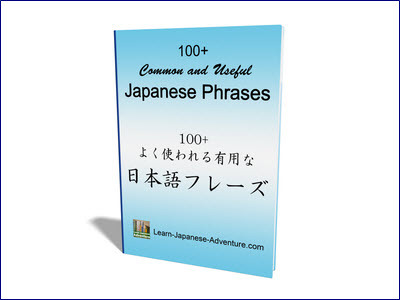 Japanese verbs used for this function are verbs which describe changes that are more or less instantaneous. This function is commonly used for 1) Appearance and 2) State. 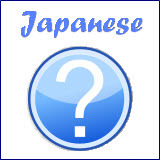 The Japanese verbs used in the above actions normally require some times and cannot be done instantly. Therefore the above actions become progress actions. However for the action of "wearing" or きます (kimasu), if you were to make て-form + います, normally this action finish instantly. Therefore て-form + います is used to show the result of the action, or the resulting state. Meaning: Teacher is wearing a jacket. The English definition is also the same. When you say "Teacher is wearing a jacket", you are saying the appearance of the teacher which is the resulting state of the wearing action. You are actually NOT saying the action of wearing the jacket. Other than the above situation, normally it is used for appearance (resulting state). For instance, someone is wearing a black dress, someone is wearing necklace, someone is wearing glasses, etc. Usually in English you use the verb "wear" or "put on" for appearance, regardless that you are wearing a hat, a pair of glasses, a shirt or a trousers. 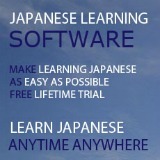 But in Japanese, depends on what you are wearing, you will need to use different Japanese verbs. I will introduce some of them based on different categories. Meaning: My elder brother is wearing a sweater. Meaning: My father is wearing new shoes. Meaning: My younger sister is wearing a hat. Meaning: Teacher is the person who is wearing glasses. Meaning: My mother is wearing the watch given by my father. Meaning: I carry an umbrella / I have a umbrella. Another common use for Japanese verbs て-form + います (te-form + imasu) is when you are defining the state. Meaning: Next year I will live in Japan. But if you want to say that you are living in Japan now, you need to use て-form + います (te-form + imasu). Meaning: I am living in Japan now. Meaning: I will get married tomorrow. Meaning: I got married yesterday. Both the above 2 examples are one-time events which will happen or have happened on that particular day. However if you want to stress the state that you are now married, you will need to use て-form + います (te-form + imasu). Meaning: I am married (state). Similarly, if you want to say someone is fat or slim (state), you have to use て-form + います (te-form + imasu).